At New Image Beauty Salon our staff of expertly trained Cosmetologists & Estheticians eagerly await to help you achieve the current hair trends, color services, cut & style, skin care and hair removal needs. Our Experts will help you achieve healthy skin by recommending an exclusive facial to make you feel your absolute best. Our Specialists also recommend tips on how to uphold that nourished and radiant skin moving forward. 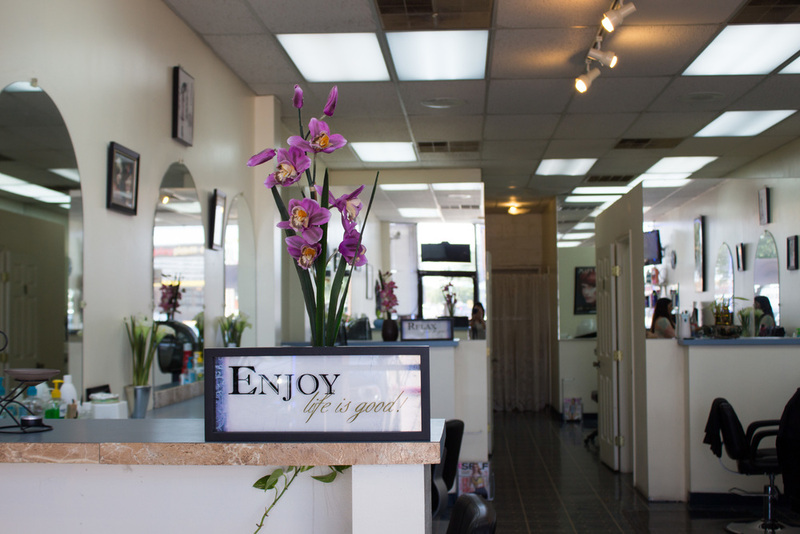 Using our multiple methods for hair removal (threading & waxing), we strive to make the process precise, rapid, easy, comfortable and as painless as possible without losing the excellence of the service. In this technique a twisted thin thread is used for rapid and precise hair removal, making it a simple and a safe method for hair removal. Other areas: Forehead, Chin, Sideburns & Neck. Waxing is an effective hair removal method for both large and small areas. Waxing removes hair at the root for an average of few weeks depending on hair thickness & type. Other areas: Sideburns, Stomach & Back. Facial is primarily a way to improve the overall look of the skin allowing the skin to feel softer, smoother, healthier and vibrant. We specialize in a variety of facials based on individual skin type and needs. Let our professional's help you select a facial most appropriate to make your skin appear its absolute best. Upon consultation we also provide various chemical based treatments depending on individual skin needs. We offer Bridal and Special Occasion Packages.